Once numbering in the millions, concentrations of prairie chickens are now only found in isolated pockets of our disappearing prairie.This is the last frontier for these birds. We can only hope that these rare and beautiful game birds will be fair game for many seasons to come. There are not many wild places remaining where hunters can bag a limit of prairie chickens several days in a row. I recently discovered such a place on the Rosebud Indian Reservation in south central South Dakota. 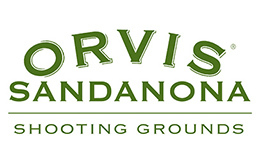 It is truly an upland game bird Mecca. I hunt with the outfitters at Prairie Grouse Haven and Native American guide Chance Colombe. A licensed Native American guide is required to access all of the “tribal ground” on the Rosebud Indian Reservation. Both prairie chickens and sharptail grouse are very abundant here. For many wing shooters, prairie grouse are considered trophy birds, especially the big mature male chickens or “boomers”. Grouse hunting on the Reservation is virtually untapped as the vast majority of hunting done here is for big deer. This is wild country and these indigenous prairie grouse capture the spirit of the pioneer American west like no other. A hunt for prairie grouse is steeped in the history and mystique of the breath-taking country they inhabit. With a bold blue cobalt sky over the Rosebud, Mac my field-bred English springer spaniel, an uncommon gun dog choice for prairie grouse, works close and fast; slipping quietly through Little Blue Stem. A stylish gun dog dashing to and fro through native grass on scent is its own reward. The rush of simultaneous wing beats, complete with the adrenaline shot that follows – a bonus. My turn of the century double gun barks, fetching handsome plumage to hand. Long “boom” feathers jet out from the back of the big male’s neck line, begging pause and respect. Just one of these mating feathers is plucked and placed neatly into a bead and leather dressing on my lanyard to honor this wild and rare prairie game bird. I play with images in my head of the boomer’s flamboyant breeding display on the traditional spring lek . OK I confess, I have a bad case of “chicken fever”. Prairie grouse are most commonly hunted with pointing breeds able to cover large tracks of ground. Flushing dog lovers must study grouse behavior and learn their habitat to cut the odds and get into the grousiest spots. I believe that while hunting prairie grouse with a flushing retriever is more challenging, it can be done very successfully in the right habitat, under the right conditions and with a knowledgeable guide. Hunting in native grass is by far my favorite, for ease and beauty yes, but in native grass, I can see every graceful line my gun dog displays. The most fun has been watching my spaniel learn to hunt these indigenous game birds. The Rosebud Indian Reservation is definitely the place to get your gun dog into lots of prairie grouse. The Rosebud is a place that will leave your soul wanting for more adventure out on her wild and vast landscapes. There is a primal spirit that has me captivated on this tribal ground. Tribal game laws are different from state game laws – they are more liberal. For example, the Reservation offers an earlier start to all of their upland bird seasons. I like to go the second week in October for the pheasant opener on the Reservation. This is the week before the statewide pheasant opener. So you miss the crowds, but get an early pheasant opener on tribal ground while focusing on grouse hunting. The Reservation offers a patchwork of almost two million acres and some of the best western wing shooting adventure that is left to be had for both prairie chickens and sharptail grouse combined. There are also a ton of pheasants on the Reservation. After ten PM and under a deep and starry sky, I went outside to get some fresh air, unable to sleep. I imagined the many harvest moons that have waxed and waned over the vastness of the western prairie. One hundred years ago indigenous game birds, prairie chickens in particular, were everywhere. Settlers reported skies black with chickens – a sustenance food for pioneer families. Prairie chickens are truly a traditional American game bird that cannot be raised in captivity, yet have been thriving on our prairie eons before us. Then I imagined the harvest moons yet to come. An image of my grandchildren afield with their gun dogs danced in my brain. Of course their dogs carry ancestral genes from gun dogs that I had owned. 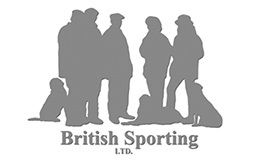 There they were living the sporting life just as I had out on the wild prairie following their gun dogs with a hand me down double gun which I had passed through time to their hand. A gun that had seen its share of upland adventure, including many prairie grouse hunts; the case color hardening faded from my own hands. This is the hunting heritage I prayed passes onto future generations. So even with chicken fever I finally fell asleep with these deep thoughts swimming through my head. I felt a connection to the past and to the grouse that have been out here on the prairie for a long time. The next day brought a blessing. While scouting with Chance, I spotted a big covey of prairie chickens flying by. Then an angel’s touch set them down under a blushing pink autumn sunrise. We marked the covey down several miles out and gave those chickens the day since I had committed to other plans. An outfitter friend of mine had called in a favor – guide two fathers and their seventh grade sons on a state pheasant hunt. While another story all together, the two boys filled their “first bird” limits hunting with Mac. What could be better than contributing to a wing shooting initiation? Well, maybe a three chicken day. With the boys and their dads limited out, packed up and headed for home I had the afternoon to hunt. Mac and I took two big “boomers” from that same covey! They were not far from where we had marked them down. I sat there in the native grass, boomers in hand while time seemed to hang in the air. In front of me, a virgin prairie landscape stood still, unchanged in its splendor. I thanked God for this special day and for the two big boomers. I can only pray that my children and great grand children will see a day like this. 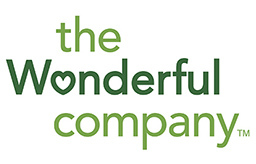 Scott Winston is a semi-retired school principal in Boulder, Colorado. 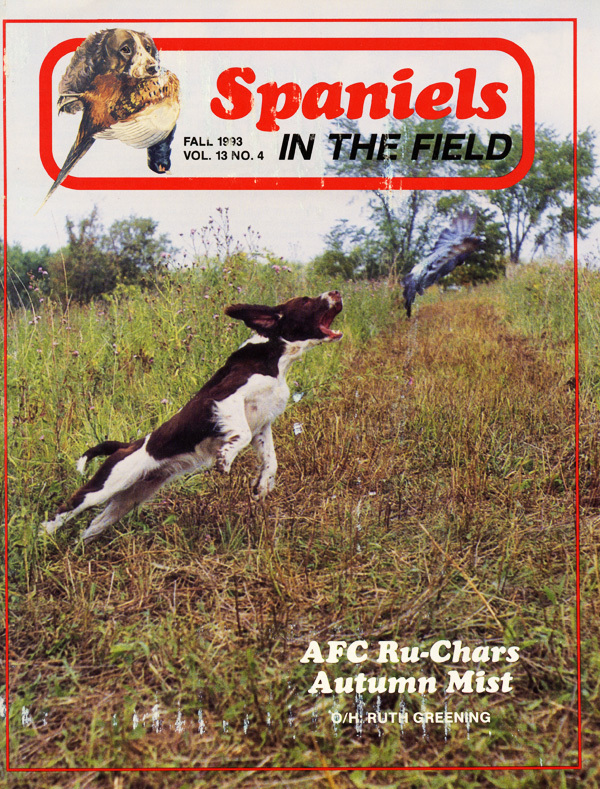 He has had Dansmirth English springer spaniels for over forty years. Scott works with a prairie grouse outfitter called “Prairie Grouse Haven” in South Dakota that accesses the Rosebud Indian Reservation. They have a lodge near Clearfield, South Dakota offering quality, affordable hunts. Scott’s writing and photography have been published in sporting journals the likes of Sporting Classics, Shooting Sportsman, Gun Dog, Spaniels in the Field, The Upland Almanac, The Bird Hunting Report, Pheasants Forever youth magazine and Colorado Outdoors. 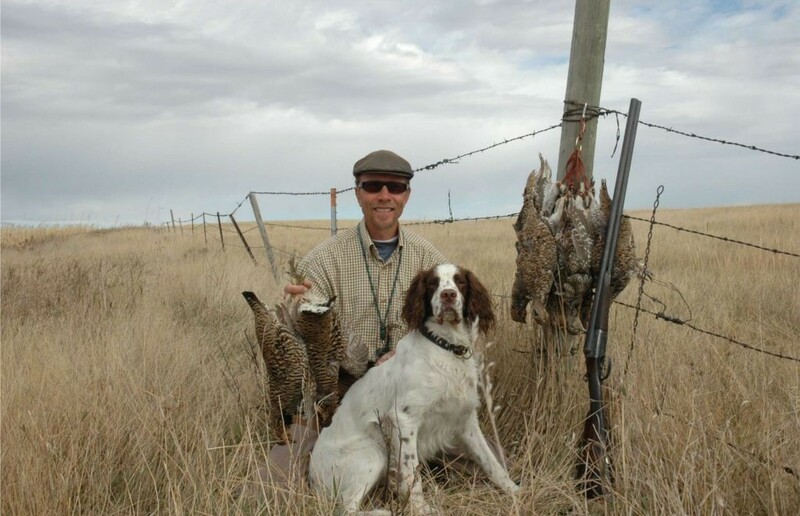 Scott loves to hunt with his spaniels, talk double guns and gun dogs. Feel free to correspond with him about hunting prairie chickens, shaptail grouse and wild roosters on the Rosebud Indian Reservation in South Dakota. For more information, contact Scott Winston at scott.winston4@hotmail.com or call 303-450-5013 or 303-250-0302.